All manholes and valves must be closed before moving a tank of hazardous materials, no matter how small the amount in the tank or how short the distance. Manholes and valves must be closed to prevent leaks. Keep liquid discharge valves on a compressed gas tank closed except when loading and unloading. Unless your engine runs a pump for product transfer, turn it off when loading or unloading. If you use the engine, turn it off after product transfer before unhooking the hose. Unhook all loading/unloading connections before coupling, uncoupling or moving a chlorine cargo tank. Always chock trailers and semitrailers to prevent motion when uncoupled from the power unit. When parking hazmat Division 1.1, 1.2, or 1.3 loads, do not park within _______ of bridges, fires, or gathering places? You may leave your vehicle unattended in a safe haven, an approved place for parking unattended vehicles loaded with explosives. Local authorities usually make the designation of authorized safe havens. When parking in a safe haven, the driver must make sure the owners of the property are aware where it is parked, what product is in the vehicle, and have a representative watch over the vehicle while the driver is away. You may park a placarded vehicle (not laden with explosives) within 5 feet of the travelled part of the road only if your work requires it. Do so only briefly. Someone must always watch the vehicle when parked on a public roadway or shoulder. Do not uncouple a trailer and leave it with hazardous material on a public street. Do not park within 300 feet of an open fire. Be able to move the vehicle if needed. A tank used for Class 3 (flammable liquids) or Division 2.1 (flammable gas) whether loaded or empty. A vehicle loaded with Division 1.1, 1.2, or 1.3 (Class A or B) explosives. Some states and counties require permits to transport hazardous materials or waste. They may limit the routes you can use. Local rules about routes and permits change often. 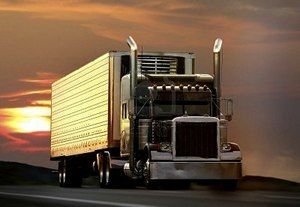 It is your job as driver to find out if you need permits or must use special routes. Make sure you have all needed papers before starting.